Each fully realized fact has an infinitude of relations. We can only conceive it with respect to a minute selection of these relations. These relations, thus abstracted, require for their full understanding the infinitude from which we abstract. We experience more than we can analyse. For we experience the universe, and we analyse in our consciousness a minute selection of its details. Alfred North Whitehead can teach us a huge amount about what it means to fully understand process, and this is as relevant in business as it is in physics, chemistry, biology or any other domain. He draws our attention to the need to rethink and reimagine complex systems, and to understand their processes at the most profound level. 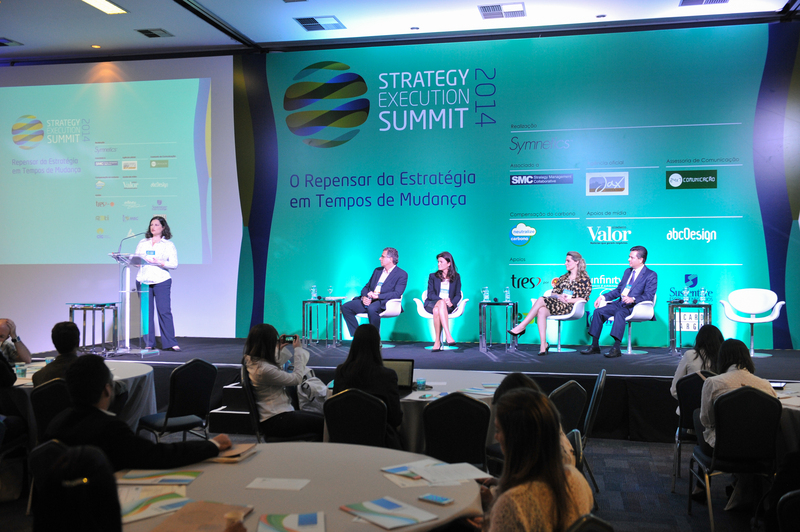 And so the theme of this year’s Strategy Execution Summit, the largest of its kind in Latin America for which I am responsible, was Rethinking Strategy in Times of Change. The reason I chose this theme is that it is possible to see that leaders are now struggling to manage their companies in the same way they used to. New complex scenarios are emerging and companies need new ways of relating to people, both inside their companies, with all of their stakeholders, employees, partners, clients, suppliers and communities. Because these relationships are changing, leaders need new qualities such as agility, responsiveness, humility, confidence, transparency and truth in relationships. These can be contrasted with the old ways of managing through command and control when the business environment was more stable. So in this summit we looked at how to deal with strategy, how to deal with the emerging future, and how leaders can prepare for it. Throughout the summit we reflected a lot about the new ways of doing things, and discussed trends relating to the economy – mostly about the Brazilian economy where we are about to have the Presidential election – and what we can expect in the next few years. It was really interesting because although we acknowledged that we are passing through a time of crisis in our economy, in some aspects Brazil has become more stable over the past few decades, meaning that Brazil has the ability not to sink into a deep depression or crisis. I can see that organisations are more consciously aware of their role in the wider system, and that leaders are now extremely aware that they need to be more creative and innovative to deal with these challenges in the environment. 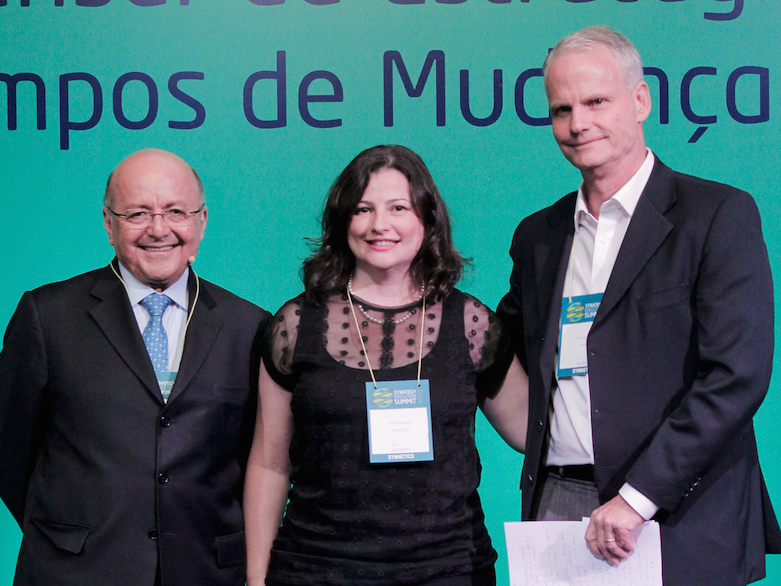 Change is now the rule, and this was the key takeaway from one of the first panel sessions discussing Brazilian perspectives on management from the point of view of both public and private sectors. 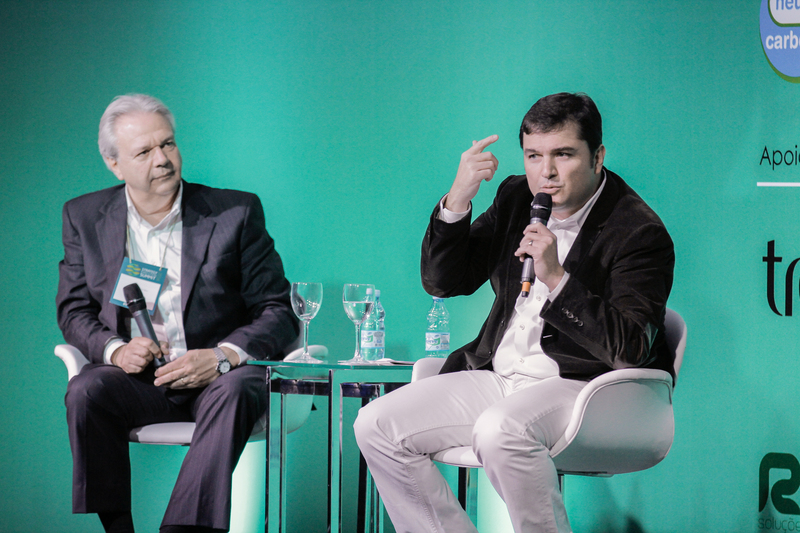 Paulo Cunha, President of Motorola Solutions Brasil, discussed exactly what we could do to develop Brazil, and offered an extremely positive vision, seeing the importance of investing in people and education. 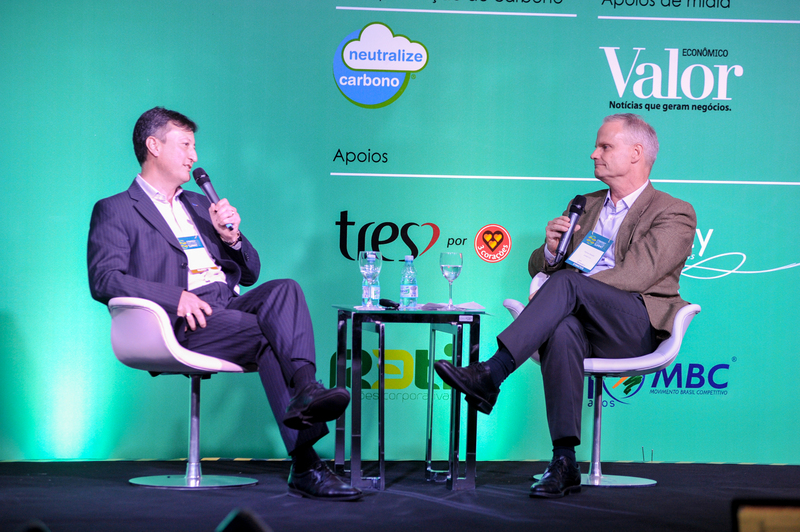 Another panel explored the role of the leader in the execution of strategy and innovation, with Rogério Zampronha, President of Schneider Electric, discussing co-creation and the need for sustainability to be at the core of business strategy. Schneider Electric are one of the winners of the Amcham sustainability awards, and so it was important to hear this positive ecological vision. Closing the first day of the summit was Ricardo Vargas, who is a consultant, author and the Director of Project Management at the United Nations Office for Project Services (UNOPS). Previously he was the Chairman of the Project Management Institute (PMI), the largest project management association in the world. Ricardo really lives what he talks, putting all these project management tools and strategies into his personal life. In his talk he discussed the management and execution of sustainable strategies, but using examples from his own life rather than business projects. Many years ago he created his own personal strategic map, allowing him to select the projects which he had to prioritise, and put his time and energy into. Ricardo really manages these projects, and he showed that he was able to achieve his goals through to their completion. This was a wonderful lesson on personal discipline, time management and how although it may seem that he only lives for these projects, in fact he does have a work-life balance and spends time with his family and leisure. In Brazil (and I am sure in many other countries) we do need to increase our discipline when running projects, and so Ricardo showed us the results of this approach. Ricardo also talked about his role in the United Nations where he has responsibility for the execution of projects in areas such as Afghanistan and Iraq – very dangerous areas. In addition to the need for discipline and vision, it was really nice when he said that you have to be humble in order to understand different cultures. This was one of the biggest lessons for him in this role. Sometimes he manages projects and even with excellent conception, planning, aspects do not work as expected or hoped. Some projects do not work not because the project is wrong, but because the project is not adapted for the culture. So you need to be extremely humble in order to really understand that culture, not to criticise and to deal with differences in order that the project really be effective. It is important that people understand this lesson, and make the link between these projects and what is happening in their own companies. A company has many cultures inside it. It has the main culture, but also sub-cultures in each area such as HR, manufacturing, production etc. There is a paradigm that each part must follow the same pattern, so if there is one way of doing something, all departments have to work in this same way. Ricardo showed us that we have to be open to differences, and to understand the rhythms and characteristics of each part. On the second day during one of the panel sessions we looked at the new profile and role of people who work in strategy. The research we examined was first carried out in 2008, when the role of strategic management was focused on analysis, the need to keep strategy alive, and to help leaders inside the company to manage strategy. Nowadays the role is changing, with strategy managers participating much more in strategic discussions, being asked to introduce new ideas and introducing strategic intelligence. So the role is becoming far more dynamic, pro-active with strategic managers participating far more, and needing new tools and techniques to help the whole organisation participate in and understand strategy and the purpose of the organisation. In the afternoon we had a very important panel session discussing sustainability within strategy and this is a theme I really believe in. With participants from companies who had all won Amcham awards for sustainability, we examined how we can really have sustainable strategies – not seeing sustainability as separate from strategy, with the company investing in a number of sustainable initiatives, but the overall company not being sustainable. These are of course extremely important, we discussed the need to see strategy and sustainability as one and the same thing, and that a sustainable company is one that has a sustainable view of business. A sustainable view of a business means that you take care of all relationships you have. Being sustainable is not just talking about sustainability, participating in events and investing in projects. Authentic sustainability is how you treat your employees, how you really create a truly sustainable environment inside the company, nurturing happiness, inspiring people to do the best they can, and enabling the organisation to evolve, bringing new ideas and sharing these ideas. This session was followed by a session asking how social investment from the private sector could improve and impact on and have the power to transform social reality here in Brazil. Of course different organisations and institutions have different responsibilities, but we are all inhabit and belong to the same system, and so this session was able to show how some companies in the private sector are able to see how they can help and improve problems of national importance such as health and education. This was my vision of wholeness and of the learning journey of the whole summit, to create this systemic vision whereby we could no longer see ourselves as outside and separate. 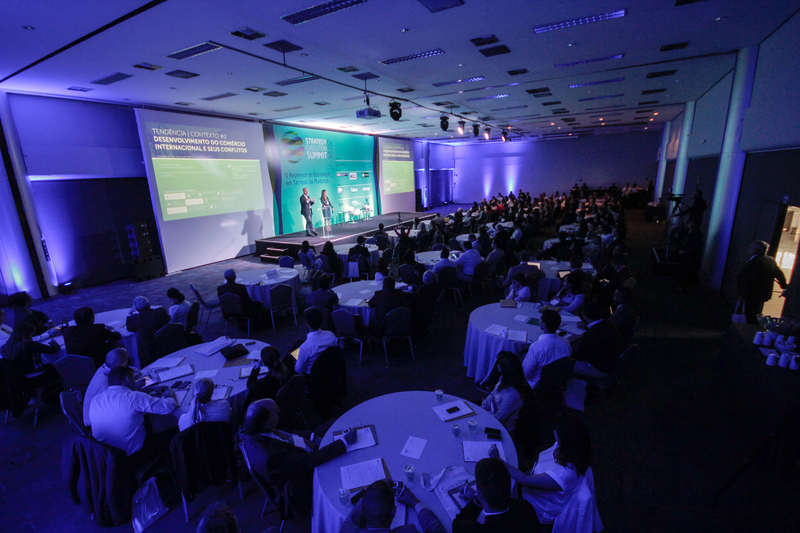 Each year we end with a dialogue where we ask a business leader to share both his or her life lessons in strategy, and how they understand the current reality and future of both inside Brazil and internationally. This year Mauri Seiji Ono, Vice President of Strategy, in Grupo Algar, spoke about how the group is highly diverse and dynamic, which also of course has many challenges being so diverse, at the same time diversifying into new areas, they are also moving towards a much more sustainable way of operating. Mauri discussed the role of co-creation and how they are sharing much more inside their group in order that new ideas and visions can emerge. One remarkable thing he said was that some years ago when they discussed strategic planning, the future horizon was only the next five years or so. Within this horizon, those people developing the strategy would be both still alive and most probably still working at Algar. This restricted the thinking of people, they were not able to think more freely. Additionally, people were not truly thinking about the sustainability of the company, but from the more personal perspective of what they could achieve on a personal level over the next few years. In order to help people develop a more organisational vision, Algar created an annual event called Algar 2100 which takes place before strategic planning, and where the horizon is in the very distant future, the year 2100. The point is not to make predictions about scenarios in this horizon, but place people in a time when they know they will not be there. This is extremely interesting as they have managed to create an environment which takes people into a different level of consciousness and awareness, an environment which transcends individual ego, where people start to talk about the survival of the company, and where people can really start to think about the whole, not just Algar, but Algar in relationship embedded and inhabiting its wider environment. This absolutely was the insight and message that I wished to close the summit with. We have to think much more than just the limits which our ego puts in place, we have see with different vision. We have to be able to do this thinking not only about the distant future, but here and now as well. Algar are able to facilitate their event which places people in a sustainable state of mind, a very concrete example of how we can make the shift from ego-centric thinking to eco-centric thinking. This is holonomic thinking, helping people to see the eco and not the ego. The main narrative and message I hoped the summit conveyed, inspired by the philosophy of wholeness and new vision of business and economics in our book Holonomics: Business Where People and Planet Matter, was that we are all involved in projects which are contributing towards creating a better reality, both as individuals and as members of organisations, but there is no separation. Everything is one thing, which is interconnected. If we are not open to really seeing things, understanding the new requirements, seeing what is around us, we will not be able to create a sustainable life, and we will suffer a lot as we resist things. I really believe that within this phenomenon that is life, we are evolving spiritually. Some years ago we never used to hear people talking about these things, mostly leaders inside companies talking about how we have to be more transparent, we have to listen to others, we have to accept diversity, how we need to be more humble. These qualities are related to human values, and this is leading to both companies and people becoming more conscious and mature as well. The summit showed to those attending that we are already on this path, and that there are already companies who truly care about this, and who are already doing business in new ways, achieving results, being more adaptable to their complex environments. So those participating in the summit were able to see and ask themselves if they are working in a company where people are really happy, really engaged, and which have leaders who are fully aware and mindful of the new requirements being demanded of them. We have to really stop and rethink – this is a vital word – rethink – what we are doing in relation to strategy. We are in a moment where we really need to rethink strategy, to allow us to create authentic sustainable brands, sustainable companies and sustainable organisations, public and private. As a Brazilian I am acutely aware of how my country is perceived by the rest of the world, and the way in which reporters write about Brazil in newspapers and journals. While of course we do have our fair share of complex problems, I wanted to share this event with you to show that Brazil also has many amazing companies and inspirational leaders who are working hard to change the reality here despite the many obstacles and challenges. In November I have been given the great honour of both presenting a plenary talk and facilitating a workshop at the conference Sustainable Brands London, both of which are titled Holonomic Thinking: Upgrading Our Leadership Skills and Systems Thinking for the New Economy. The overall theme this year for Sustainable Brands is Reimagine, Redesign, Regenerate, and so I hope to bring a very positive message to London about both the work I have been doing with Simon relating to the introduction of holonomic thinking, and also these many initiatives which are now making a considerable impact for many Brazilians, and also across Latin America too. 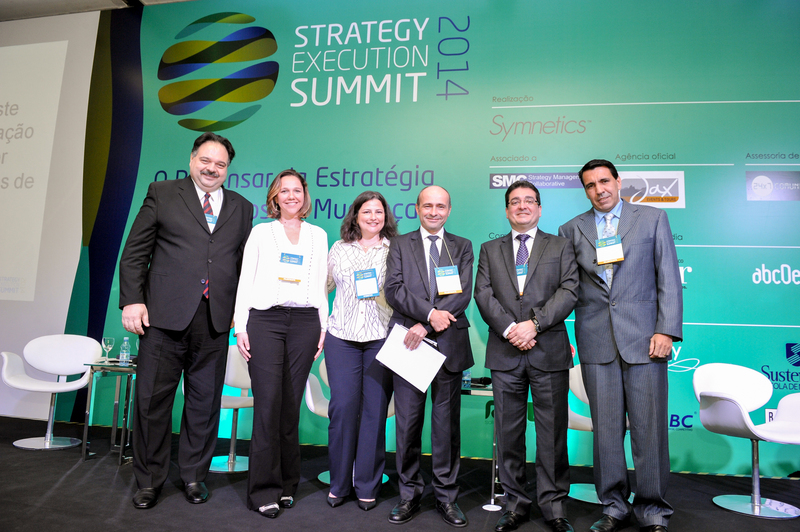 I would like to thank all the participants at the Strategy Execution Summit for their valued contributions, most of whom I have not had the space in this article to mention, as well as my colleagues at Symnetics and our sponsors and supporters for their facilitation and participation as well. 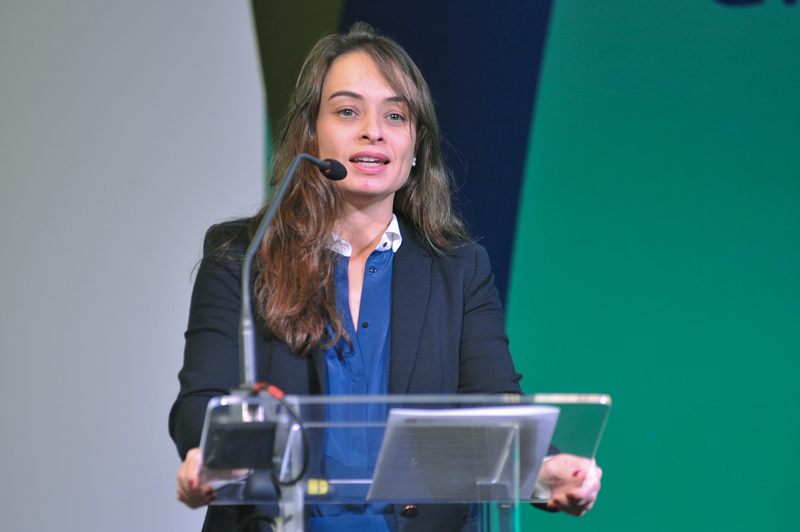 Maria Moraes Robinson is the Director of Education at Symnetics, and co-author of Holonomics: Business Matter Where People and Planet. She is an economist, consultant and lecturer in strategy, change management and the Balanced Scorecard methodology. 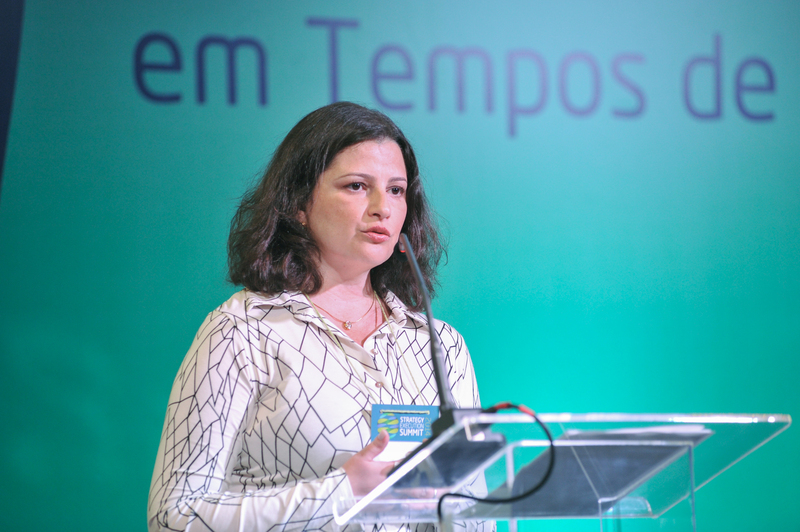 She is the co-author of the article Holonomic Thinking: How to Transform Strategy and Results with a New Mental Operating System, Harvard Business Review Brasil, April 2014 (Portuguese).